Stansted to Rhodes on 14th September 2013 returned on 28th September 2013. Very pleased with everything flight on time easy check in friendly staff lots of leg room in economy would thoroughly recommend no problems at all. First time travelling with Ryanair. 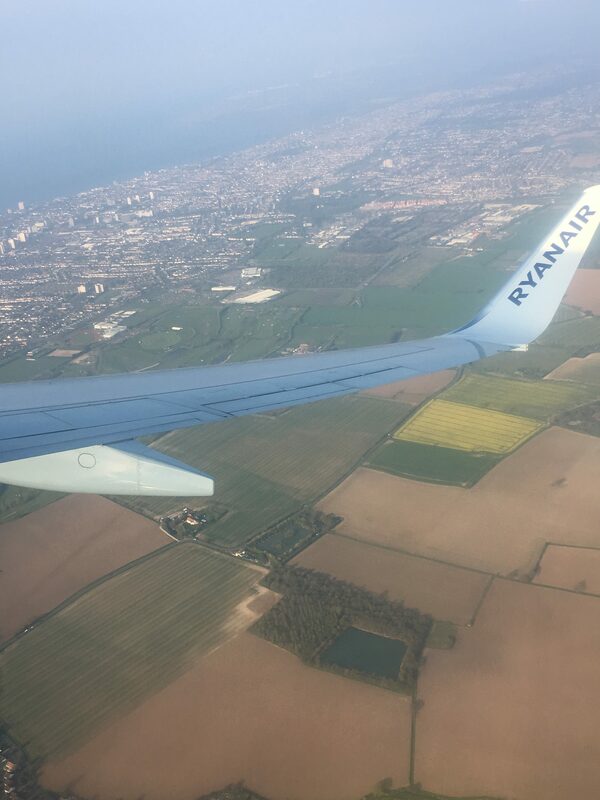 Beauvais (Paris) to Bratislava 8 September: the absence of any seat booking as a standard service makes boarding Ryanair feel like a cattle yard experience (we paid the extra for a seat reservation and that worked well). The total inflexibility on luggage weight is a sham and price gouge policy. We are both smallish people our carry on luggage was well under weight and one checked in bag (which of course we paid for) was 1 kg over bang another 20E ie it is per bag if hers was under and mine over you still pay on the one that is over. The flight crew were fine but the check in woman forgot to stamp my wife's boarding document so having gone through the queue we had to run back for that. The airport shuttle service from Porte Maillot to Beauvais was very good but it is 1.5 hrs. Ryanair is now my airline of last resort. Seats uncomfortable ridiculous rules which although we adhered to them we could see that others did not. Hot food ran out and staff did not seem to have any comments other than what were likely to have been stock responses it seems if your flight is later in the day it is 'pot luck' if the advertised food is available as it is not replenished between stops! Didn't want to travel with Ryanair but really had no alternative at the time with destination and dates but would avoid in the future. I was catching the morning flight from Barcelona to Rome with 3 other companions. We sat awaiting to board when the call came up. We watched the farce play out as passenger after passenger wrestled with their carry on to shove it into the small regulation box. If they couldn't get it in the little metal box they got fined. As the line finally whittled down we decided to board. They don't turn on the air-conditioning until the plane is in the air. It was then we realised that the seats were not allocated first come first serve. We had to hold our carry on on our laps. I looked above me wondering why we couldn't put our carry on in the overhead compartments. Finally the aircon came on - just about the same time the captain started advertising the sale of scratchcards. Luton (LTN) - Ireland West Knock (NOC) return from Friday to Monday September. Great fares for the return flights. Excellent service as usual on this route. On-time departures and arrival. Attentive and friendly cabin crew. 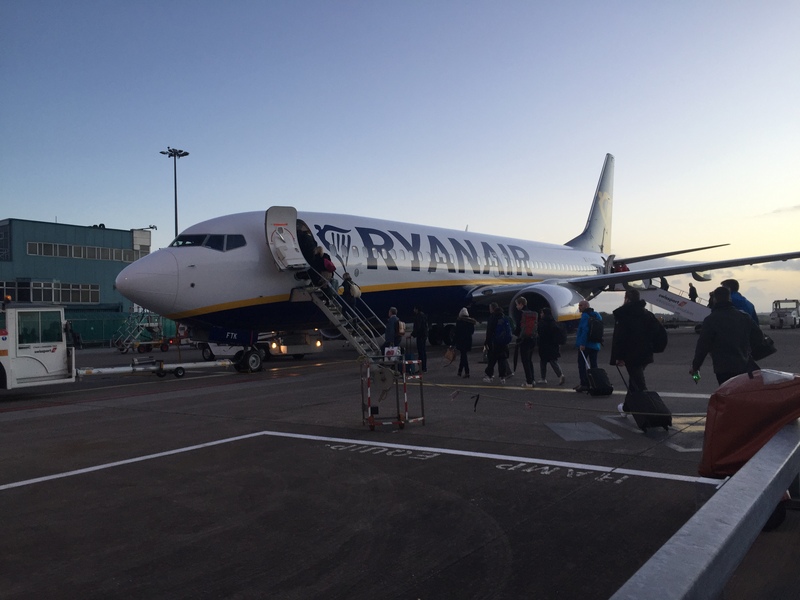 The Ryanair Station Staff at Knock were efficient and professional as well as helpful. My expectations are always met. Fully recommend Ryanair and always look forward to travelling with them. Flown this week from Oporto to Barcelona and back. Being a first-time flyer I certainly don't have the experience to compare it with other airlines but I must say I don't get what all the fuss is about. 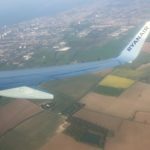 Everyone seems to hate Ryanair and I had a very pleasant experience with them. No troubles with luggage we weren't even asked to measure it or weight it at boarding though I understand that was a stroke of luck. Staff were very polite and nice the only rudeness I witnessed were from the passengers themselves mainly some who had the luck of boarding with clearly oversized bags and then were surprised when they didn't fit in the compartments. Seats were comfortable they are no tighter that the average bus/train seat I was expecting much worse from all the reviews I read. Flights arrived earlier than the quoted time. They do play a lot of ads during the flight for their services but you aren't forced to buy anything and the staff doesn't get all in your face with it. All in all a very pleasant flight. I could have never afforded the trip if it wasn't for Ryanair. Just don't go to one of their flights with your mind set on trying to beat their system. If you want it cheap then you must abide by their rules. If you don't want to be bothered with that just go with the pricier airlines. BGY-DUB return. Reserved seat 1A with priority boarding included. They apply competitive fares. Everything worked properly pleasant flights young and professional crews both ways. Flights on time. Recommended. Flew to Treviso with them from Stansted hopefully will never have to fly with them again. Awful airline most uncomfortable flight seats ever anything over an hours flight on those seats it makes the journey painful. The staff are awful but then again they probably get treated awfully so don't expect them to really care. London Stansted to Seville and return 18-26th Sep. It seems that to supplement the apparent cheap fares they look for any and every excuse under the sun to get money out of you. We did not have the ability during our trip to remote Spain to pre-print the boarding passes thought this would not be a problem as we had flown with a world class budget airline Air Asia earlier in the year and they provide machines at the airports to check in or you could use you smart phone to display the barcode. 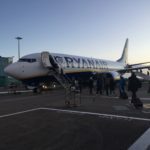 Ryanair charged us 140 Euros for two boarding passes which took the girl at check-in 30 seconds to do. This was as much as the return fares from Stansted to Seville. Surely a charge must reflect the effort or cost associated with providing the service. They then bombard you before and during the flight trying to make you buy more rubbish from them. Having flown Ryanair before I thought I knew what sort of flight to expect sadly this airline has gone from bad to awful. I boarded with my hand luggage having been meticulously measured and weighted by staff at the gate to find a free for all frenzy aboard. The over head luggage lockers were already full with many people still clutching bags in the aisle. Eventually after finding a vacant seat I asked the attendant where I should place my bag. I was told to put it under the seat in front of me I tried it didn't fit the attendant tried it still didn't fit so I was told to put it in the space between the seats. I questioned where I would then put my legs to be told that I would have to squeeze them in on top of my case. I said that this was unacceptable for a 2.5hr flight to be told that it was by own fault for not booking priority boarding and that my luggage would be off loaded if I did not comply! I refused pointing out my bag was within the correct size only after some adjacent passengers chipped in did the steward seek to put my bag elsewhere. On the way back the flight was not fully booked so staff sectioned off a few rows of seats just to make sure no one enjoyed any extra space they had not paid for - talk about no frills this is a whole new level.